J. Corey Asay is an employment lawyer in Dinsmore's Cincinnati office. Corey works with clients across a broad range of industries - from local businesses to large, national companies. He regularly litigates and counsels clients on a wide range of employment issues, including matters arising under Title VII, the Americans with Disabilities Act, the Family and Medical Leave Act, the Fair Labor Standards Act and the National Labor Relations Act. He also has extensive experience representing clients in cases involving non-competition and non-solicitation agreements, as well as the misappropriation of trade secrets. Corey frequently appears before the Equal Employment Opportunity Commission and state and federal courts throughout the country. He has also represented clients before the Ohio Civil Rights Commission and the National Labor Relations Board. Understanding the importance for employers to proactively mitigate risk, he teams with clients to conduct training programs and draft employee policies and procedures to ensure compliance. He regularly provides advice and counsel to employers on personnel policies, employee discipline, and harassment investigations. Prior to joining Dinsmore, Corey served as a judicial law clerk to U.S. District Court Judge Jack Zouhary and U.S. Magistrate Judge James R. Knepp II. In addition to participating in various trial matters at the district court, as a law clerk he gained valuable experience at the appellate level during sittings on the Ninth Circuit and the Sixth Circuit. 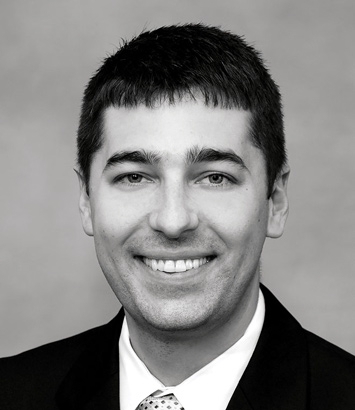 Prior to his clerkships, Corey was a member of the litigation department at a firm in Evansville, Indiana, where he handled all phases of litigation. During law school, he served as a judicial extern to U.S. District Court Judge Gregory L. Frost.